Dodgers’ bullpen coach Mark Prior, one of many former major leaguers to have played for Gillespie, who retired at the end of this season after 11 years coaching UC Irvine, also validated the singular resonance of Gillespie’s trademark moniker. Few can match the career accomplishments amassed by Gillespie, a member of the American Baseball Coaches Association Hall of Fame who has achieved 1,153 victories in 31 seasons as a Division I head coach, including a national championship in 1998 at USC. 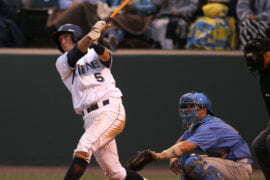 Gillespie’s 11 seasons at UCI, including a College World Series appearance in 2014, was celebrated in a pregame ceremony before the May 18 Anteaters game against UC at Cicerone Field at Anteater Ballpark. 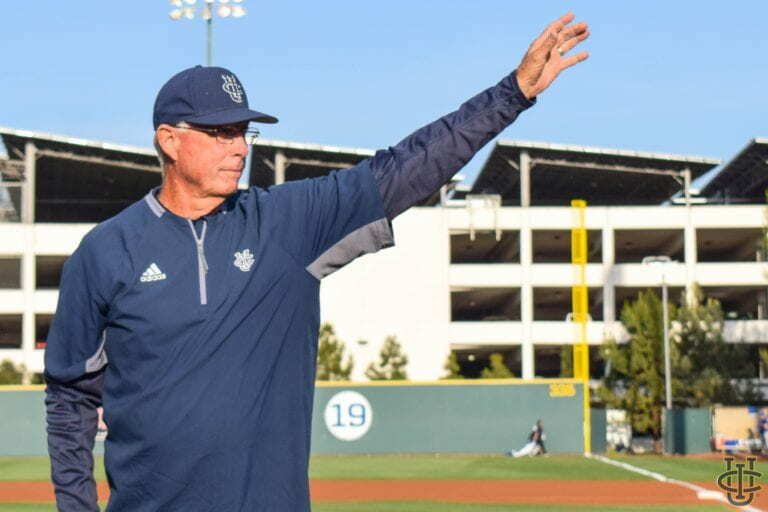 Gillespie, 78, was named national coach of the year by the National Collegiate Baseball Writers Association in 2014 and was named Big West Coach of the Year in 2009, when he guided the ‘Eaters to the conference title. He has guided teams to 19 NCAA Tournament appearances, including College World Series trips with USC in 1988, 1995, 1998, 2000 and 2001. 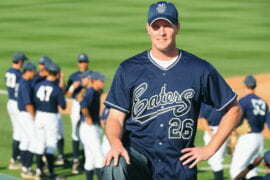 Under his tutelage, UCI competed in the postseason five times, including regional titles in 2008, 2011 and 2014. He was the national coach of the year in 1998 and collected Pac-10 Coach of the Year honors four times. Gillespie, who played at USC, including the Trojans’ NCAA title season of 1961, is one of two men to have earned College World Series championships as a player and a coach. He will be inducted into the USC Hall of Fame on Saturday. His legacy includes legions who have admired his thorough preparation, meticulous attention to detail and ability to utilize creative diamond strategies. Savage, who guided UCLA to the NCAA crown in 2013, gives Gillespie primary credit for his successful coaching career. Oregon coach George Horton, who dueled Gillespie for years as head man at Cal State Fullerton, and dating back to their tenures at rival community colleges, also shared his appreciation for Gillespie. Beyond his diamond acumen, Gillespie is revered for his articulate wit, humility and concern for others. Boone and Prior laughed when recalling Gillespie’s ability to be both stern and supportive. Gillespie said it is difficult to properly convey his appreciation for those he has worked with at UCI. 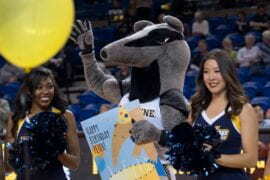 He also said it is players, colleagues, administrators and support personnel that he will remember most about his time as an Anteater.